"Health Care As Individual As You Are"
Doug's Compounding Pharmacy is a PCAB-accredited, compounding-only pharmacy focused on providing custom-compounded medications since 1997. Since our inception, our focus has been providing the highest quality medications and unrivaled customer service. Located in east central Illinois in the community of Paxton, we work extensively with providers and patients throughout Illinois, Indiana and Wisconsin including Bloomington-Normal, Champaign-Urbana, Decatur, Kankakee, Bradley-Bourbonnais, Danville and the greater Chicagoland area. From addressing hormonal imbalance to pain management, adrenal fatigue to hospice and palliative care, our pharmacists collaborate with practitioners to provide customized medication solutions implementing the latest medical knowledge and state-of-the-art technology. In addition to compounding, we offer a variety of complementary healthcare products and services including durable medical equipment, hormone and neurotransmitter testing and aromatherapy. To learn more about Doug's Compounding Pharmacy and the benefits of compounded medications, contact us at 217-379-3684 today! Dr. Jenna Cowell Vogel earned her PharmD degree in 2014 from St. Louis College of Pharmacy, St. Louis, Missouri, graduating with honors. 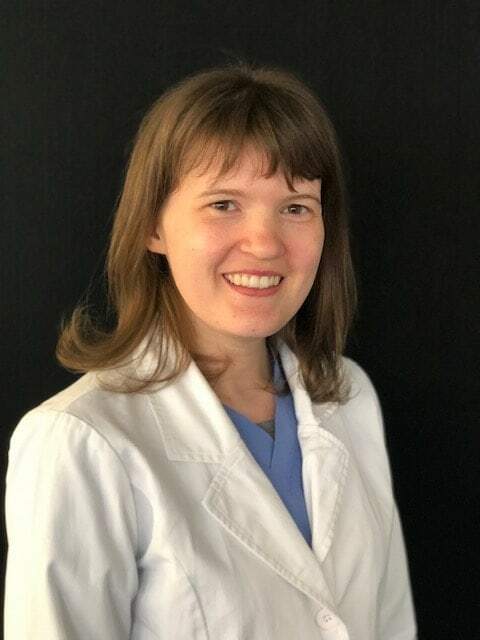 During pharmacy school she was a member of the American Pharmacists Association, Illinois Pharmacists Association and the Student Pharmacists Association. Becoming a pharmacist and owning a pharmacy has been a lifelong ambition for Jenna. 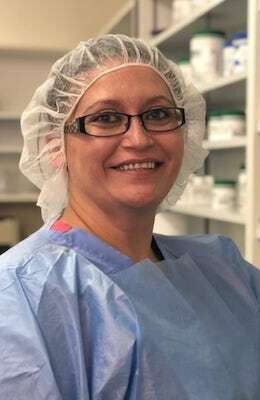 She began working as a pharmacy technician at the age of 16 while still in high school and first became interested in compounding when she did an internship at Doug’s Compounding Pharmacy as a pharmacy student. She found the idea of customizing medications to fit the individual needs of the patient intriguing and sought to learn more about the art of compounding. Jenna is enthusiastic about her role as a compounding pharmacist and is excited to expand and grow her knowledge of compounding pharmacy under Doug’s mentorship. She is a wife and mother to two daughters and enjoys spending time with her family. Doug Higgins, RPh, is a 1978 graduate of the University of Illinois at Chicago College of Pharmacy, Chicago, Illinois. He became a hospital pharmacist upon graduation and later served as a retail pharmacist with a national retailer and regional independent before becoming a compounding pharmacist in 1997. Doug is a fellow of the International Academy of Compounding Pharmacies (IACP) and has spoken at area and national conferences on topics ranging from pain control and wound care to bio-identical hormone replacement therapy. He has been honored as Professional Compounding Center's(PCCA) Pharmacist of the Month and is a former member of PCCA's Advisory Council. He currently serves a member of IACP's legislative committee. He is also Compounding Section Head of the Illinois Pharmacists Association; and is a preceptor for St. Louis College of Pharmacy, University of Illinois College of Pharmacy at Rockford, and Southern Illinois University School of Pharmacy at Edwardsville, working with pharmacy students throughout the year. He is a devoted husband, father and grandfather and enjoys spending time with family (especially his grandchildren) and friends, traveling and sharing his knowledge of compounding. Dr. Kelli Breymeyer earned her PharmD degree from Midwestern University Chicago College of Pharmacy, Downers Grove, Illinois in 2015. During pharmacy school she was a member of Rho Chi Pharmaceutical Sciences Honor Society, American Pharmacists Association and the Illinois Pharmacists Association. 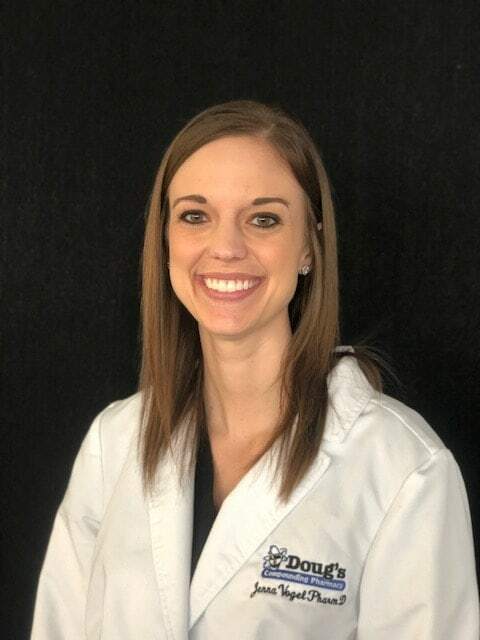 A native of Paxton, Kelli discovered an affinity for compounding during an educational rotation with Doug’s Compounding Pharmacy during her final year of pharmacy school. 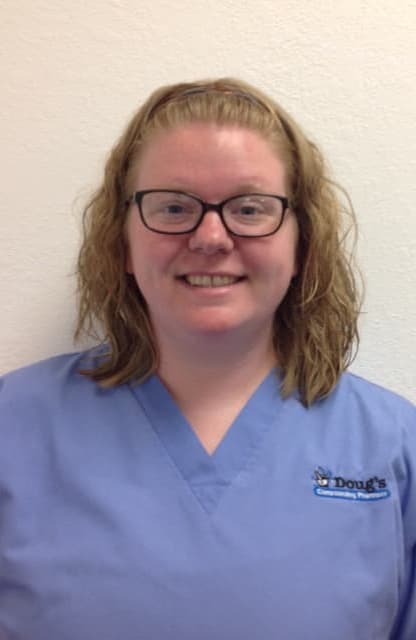 She became a staff pharmacist upon completion of her education and has proven to be a vital member of the Doug’s Compounding team. Kelli loves the unique opportunity compounding affords in customizing patient care and enjoys working with patients and providers to optimize health outcomes. In her free time Kelli enjoys spending time with family, shopping and enjoying the outdoors. Pharmacy Compounding Accreditation Board (PCAB) accreditation affords compounding pharmacists an unparalleled opportunity to demonstrate superior quality and safety in their compounding practices. And yet, since PCAB was founded in 2004, only a modest number of pharmacies across the nation have achieved accreditation.